Complicated borehole trajectories. 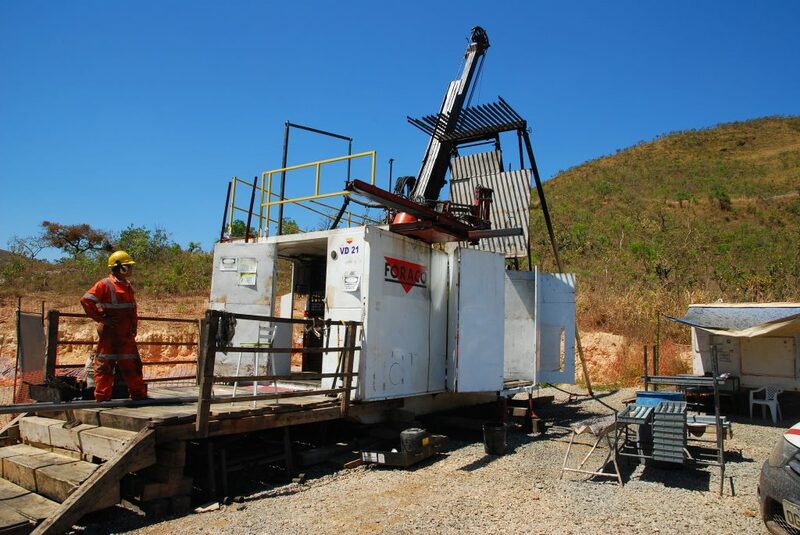 Cuiabá mine’s deep drilling project in Brazil. AngloGold Ashanti’s deep drilling project in Brazil’s Cuiabá region was conducted between 2013 and 2015. The purpose of the project was the confirmation of important ore extensions of the Cuiabá mine gold deposit. 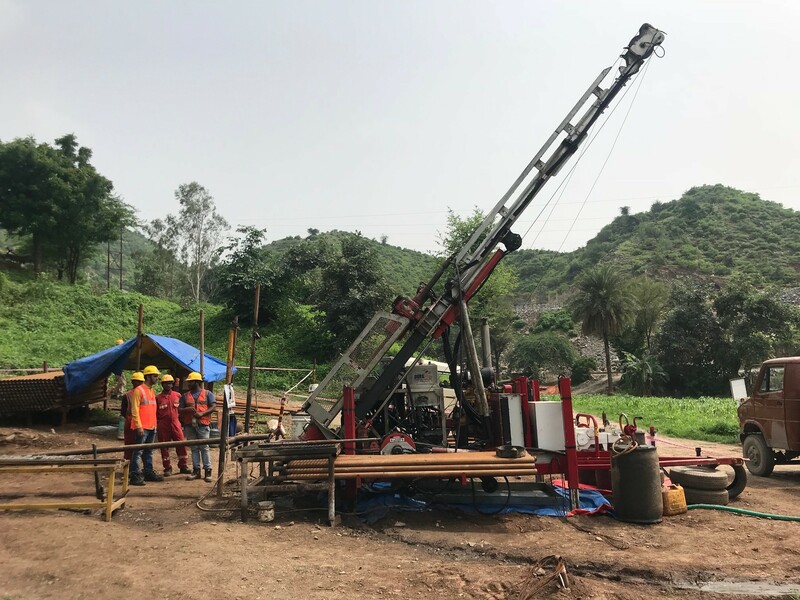 The project’s success was possible through collaboration between AngloGold Ashanti as exploration company and client, Servitec/Foraco as drilling contractor and Trust Solucoes Geologicas in a joint venture with BG Drilling Solutions as the directional drilling provider. The Cuiabá gold deposit is located in the northern part of the Iron Quadrangle in Minas Gerais State, Brazil. The region consists of an Archean granite-greenstone terrain composed of a basement complex, the Rio das Velhas supergroup greenstone sequence. The stratigraphy of the Cuiabá area is part of the Nova Lima group, which forms the lower part of the Rio das Velhas supergroup. The lithological succession of the mine area comprises, from bottom to top, lower mafic metavolcanics intercalated with carbonaceous metasedimentary rocks, the gold-bearing Cuiabá Banded Iron Formation (BIF), upper mafic metavolcanics and volcanoclastics and metasedimentary rocks. 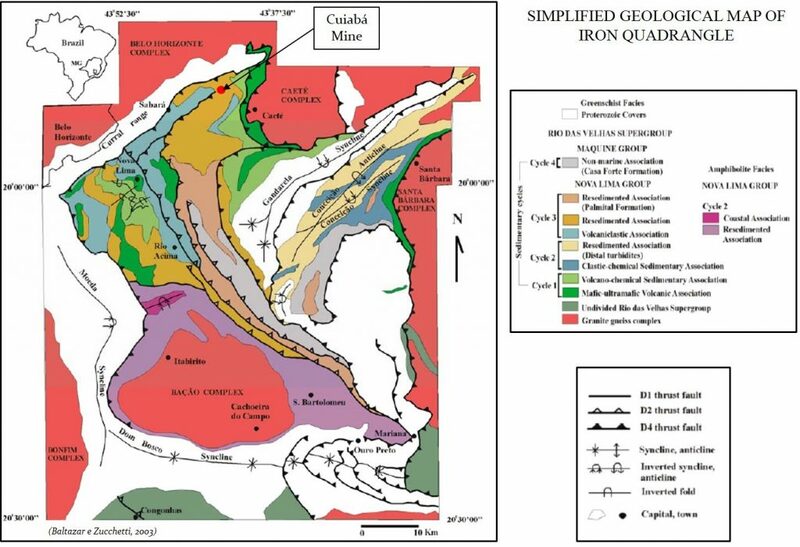 As observed in other greenstone-hosted gold deposits of the Iron Quadrangle, the Cuiabá ore bodies display a strong structural control with the most prominent feature being their consistent down-plunge continuity. 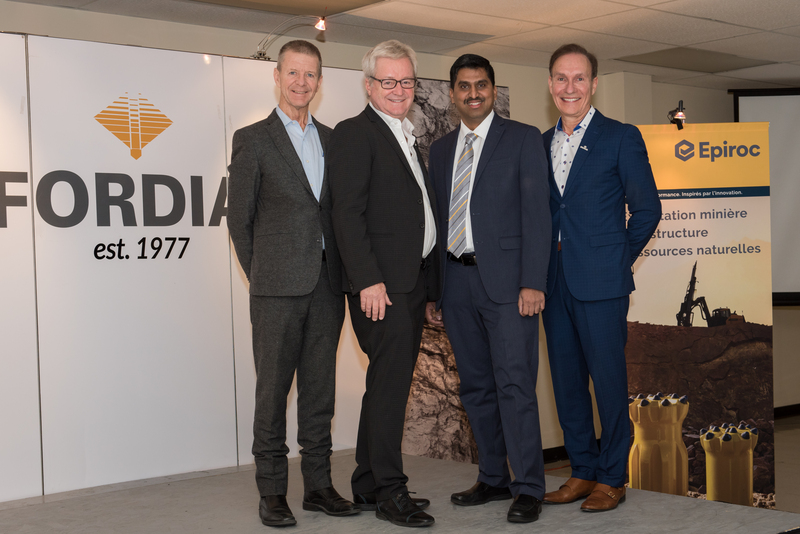 Mineralization continuity confirmation is a strategic action for the future of the mine. The big challenge is to hit the ore shoots in depth, some of them narrow, bent and broken. Because of this specificity, control over the natural deviation of drill holes was essential. Natural deviation will tend to bring the drill holes perpendicular to the foliation in depth and its control is complicated and difficult, especially with a restricted and deep target area. Environmental restrictions on establishing the drill pads at ideal locations were another issue. 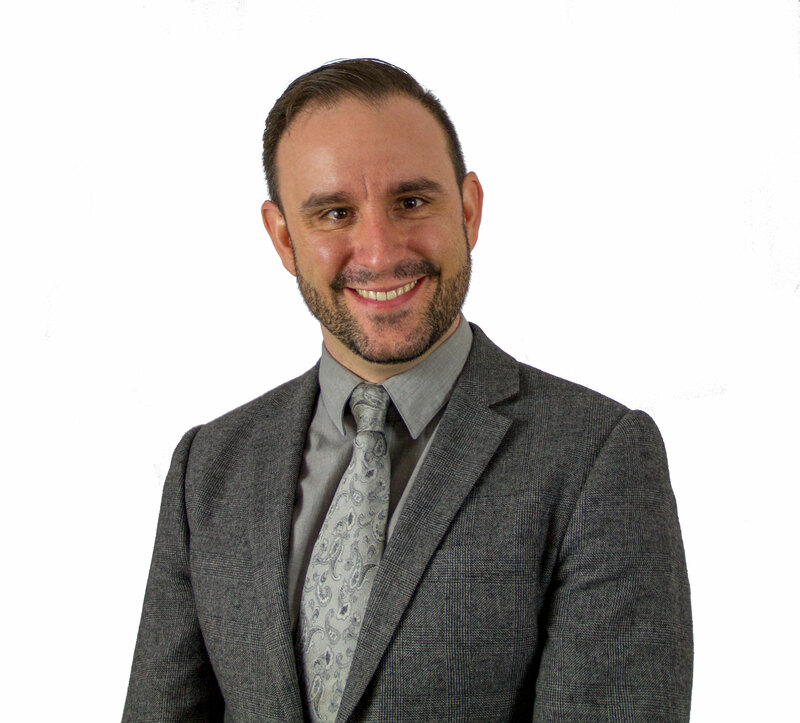 An additional challenge was the fact that data on natural deviation trends from previous campaign produced differences in drilling procedures and equipment between drilling contractors, and so on. The deep drilling project began in May 2013 and lasted for 2.5 years. During that time, 12 drill holes with 9 derivations were drilled, making 26,523 meters drilled in total. The equivalent of the total meters, if multilateral drilling was not in use, represents 34,523 meters. 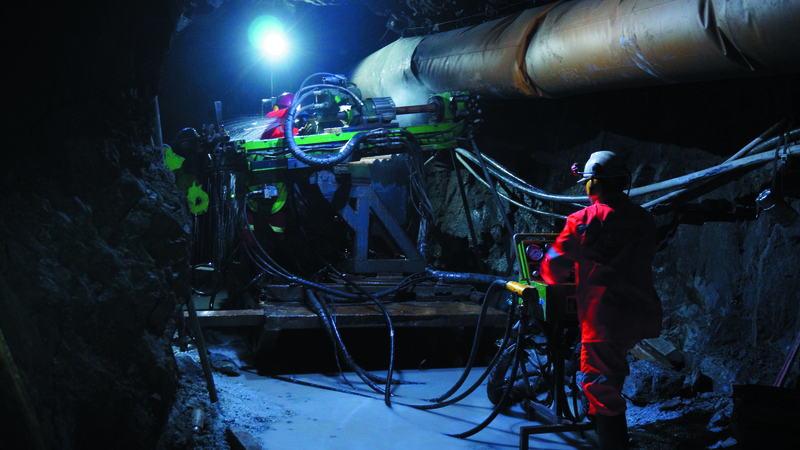 To drill this campaign, Servitec-Foraco brought on site an Atlas Copco CS14 for the shallower depths and an Atelier Val-d’Or’s VD-8000 for the final depths. The average depth of the drill holes was 1,720 meters, and the deepest, 2,300 meters. The whole drilling campaign was executed from just a few drill pads, resulting in large lateral distances between collars and targets in depth, bringing even more importance to drill hole navigation engineering. Each drill hole was programmed in two phases. During the first phase the drill hole had to make a smooth turn, followed by the second phase – a relatively straight section. Therefore, the key task was to bring that first curved section to the desired position before the drill hole stabilized by becoming perpendicular to the foliation. This was accomplished using a handful of methods. 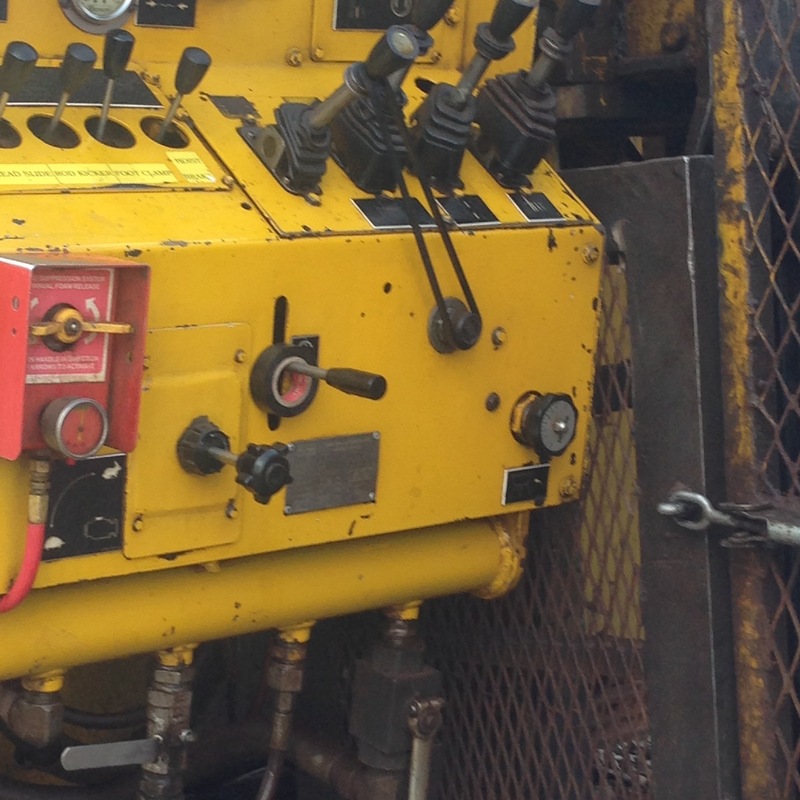 Control over drilling parameters was used in order to reduce or boost the natural deviation of the drill holes. 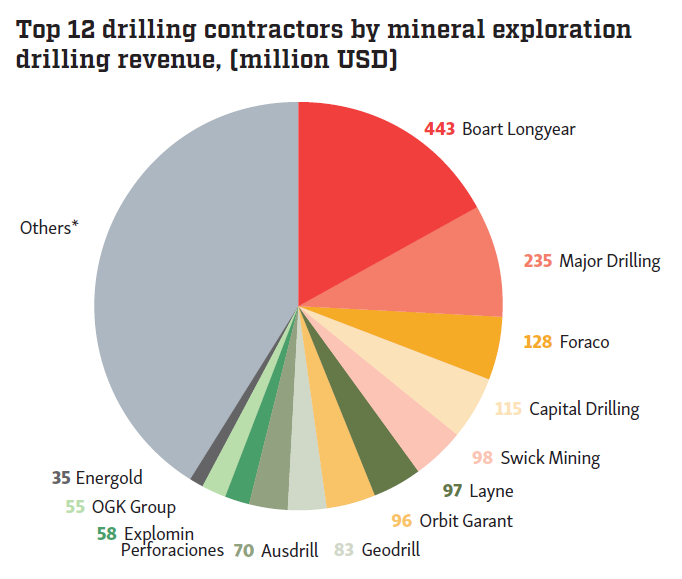 This reduces the human factor, meaning that all drillers had almost the same pattern on drilling. The RPC, a key parameter of drill hole deviation measured in bit rotations per centimeter, can be increased or decreased with direct impact on boosting or flattening out natural deviation respectively. 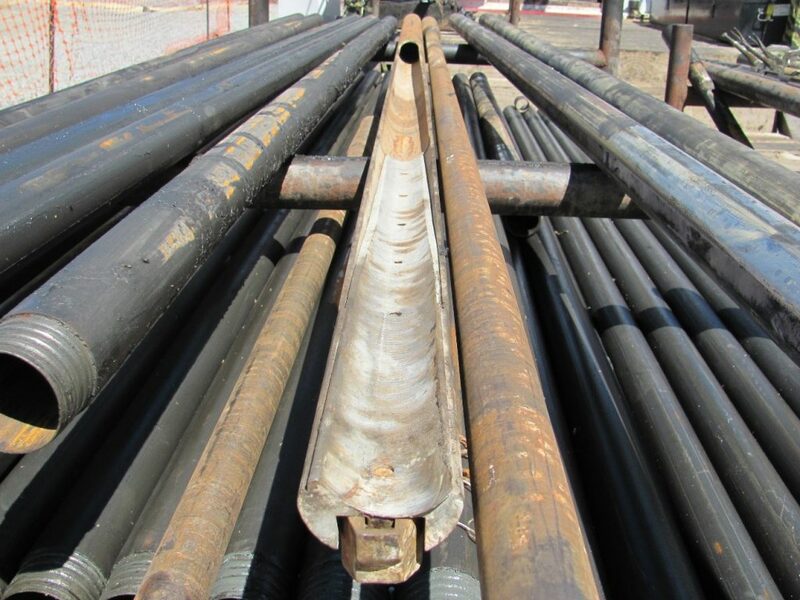 Core barrel configuration is another important parameter, and the use of different configurations in different cases is a strategic approach that combats unwanted drill hole deviation. As a rule, the more rigid the core barrel, the straighter the drill hole. Common tools in configuration are the standard and the full hole core barrel (also called hex barrel) and regular and extended reaming shells. Different variants and combinations were tested on the project for optimum results. Even using RPC (rotations per centimeter) control associated with different core barrel configurations, the control over unwanted drill hole deviation was very limited. Both techniques described above are insufficient to follow the complicated borehole plan and execute the designed turn. 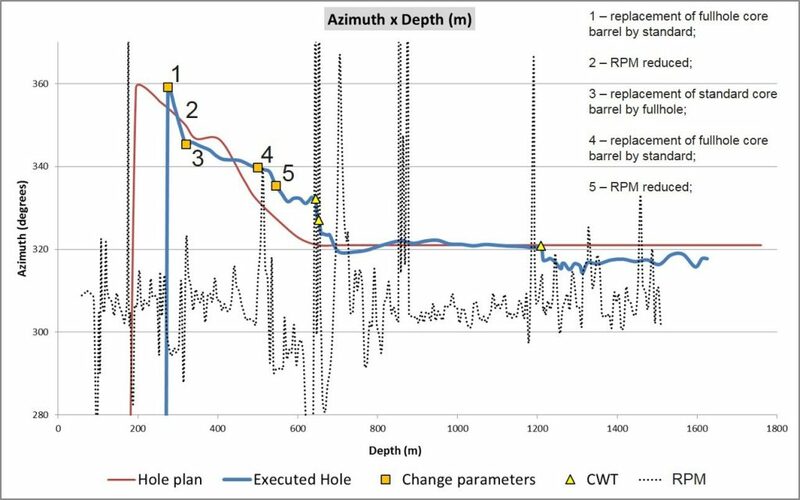 The inconsistency and unexpected changes on the drill hole direction due to rock foliation and drilling parameters obliged the use of directional drilling tools – a retrievable wedge and the CWT (continuous wedging tool) system. The retrievable wedge is a wedge system that allows the drilling of a short sidetrack (kick) before all tooling is removed from the drill hole, leaving nothing on the bottom. The sidetrack created is less than one metre in length and has a smaller diameter than the borehole. For example, the sidetrack in N-size boreholes is normally B size. With a special flexible reaming configuration, the sidetrack created is reamed to the original size of the borehole. After the sidetrack is reamed, the 3m standard core barrel with taper bit is inserted in order to continue drilling and keep the new direction. New bits tend to cut the curve produced. A single retrievable wedge or a steel wedge can normally gain up to 1.5 degrees spatial offset depending of the rock formation characteristic (hardness, foliation, grain size, etc) and the wedge type. 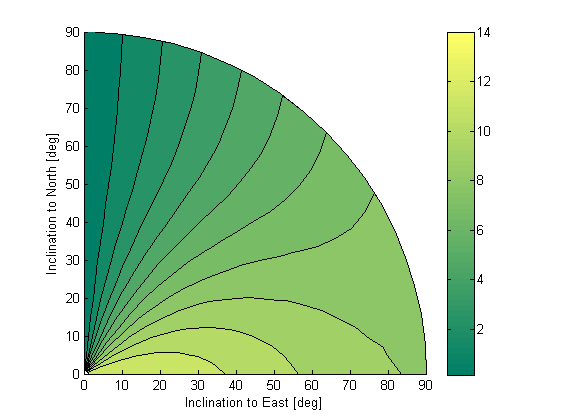 A 1.5 deg spatial deviation is equal to around 8.5 deg of azimuth change in a borehole with dip angle of -80deg. The retrievable wedge was employed throughout the Cuiabá mine project with good rates of success. However, in some cases, due to the strong influence of the regional foliation, the sidetrack results were lost and the process was unable to give the desired result. Such problems increase the cost of wedging and introduce uncertainties into the project. So, to minimize risk, BG Drilling’s CWT drill hole navigation system, with its capacity to fight strong deviation trends, was brought on site. The CWT is a simple mechanical tool that performs short, wedge-like deviations, but in less time and a more controllable manner than the retrievable wedge. The CWT tested on the project quickly met expectations and the tool began to be used frequently. At the end of the year, a series of CWT deviations were unable to overcome the deviation trend, and for the second time the project was facing difficulties because the expected results were not achieved. A fast reaction from BG Drilling’s engineers produced a new version of the CWT and that overcame the limitations and the drill hole deviation issue. The directional drilling campaign was resumed and the CWT was successfully utilized until the end of the project. 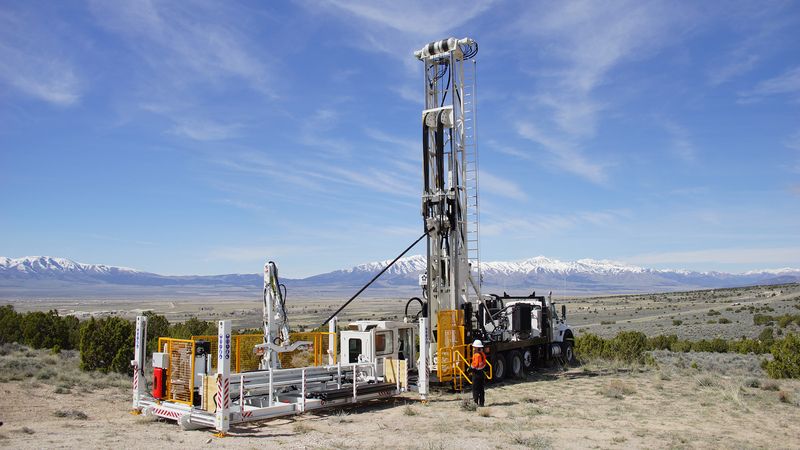 By combining drilling techniques and directional drilling tools, the project drill holes were navigated and reached the programmed targets with good precision. 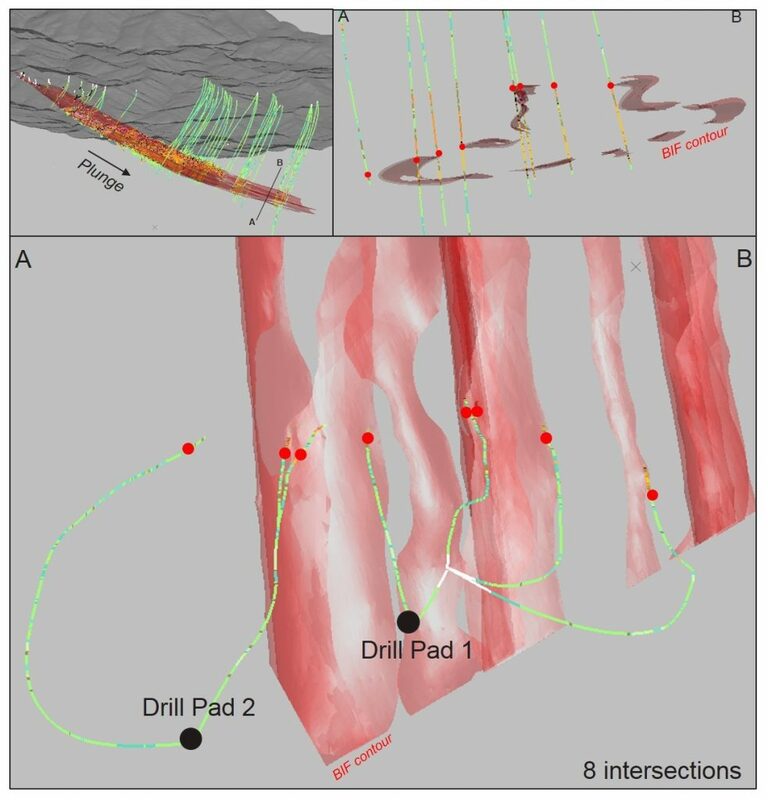 The majority of the drill holes were able to intersect mineralized structure, furnishing unique information with great importance for the future of the mine. 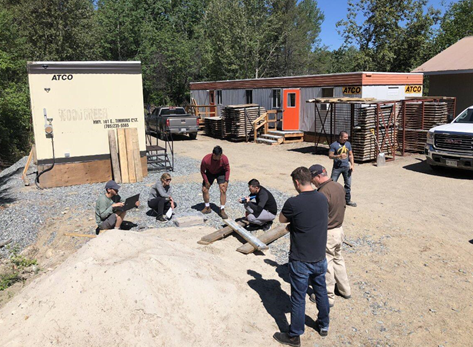 With the combination of drilling technics and directional drilling tools the projected drill holes were navigated and reached the programmed targets with precision. The majority of the drill holes were able to intersect mineralized structure as programmed, bringing unique information of great importance for the future of the Cuiabá mine. The borehole branches/derivations executed were at depths of between 860 and 1,190m, about 1,000m above the final depth. In total 9 steel wedge were used to create new branches or by passes, 42 interventions with retrievable wedges and 68 interventions with CWT. A total 110 trajectory corrections were realized throughout the project. 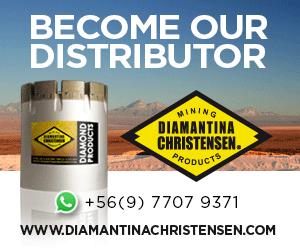 The deep drilling project is not completed and new boreholes are being planned along the mineralization continuity with final depths around 2,300 m and derivations below 2,000m depth. The program is expected to begin in late 2016 with the same parties that were involved in this first campaign.